I mentioned in my last blog that I lost my lenses on my and my husband’s honeymoon/1 year trip to Amsterdam, and that I ordered new stuff and would do an unboxing. Ta da! Done. 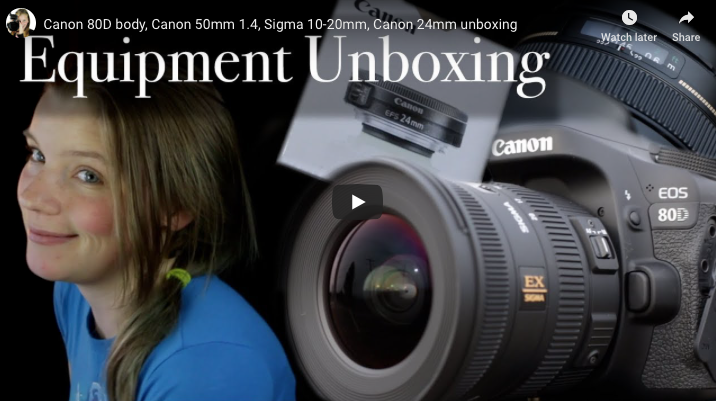 In this video, we look at a Canon 80D body, Canon 50mm 1.4 lens, Sigma 10-20mm 3.5 lens and a Canon 24mm 2.8 lens.